Sweets anyone? BonBon-Land in Denmark definitely started out that way. Danish sweets boiler, Michael Spangsberg got an idea to make some wacky candies with weird names that became a hit with children throughout Europe in the 1980s. The candy was such a success that children wanted to see how the candy was made so tours of the candy factory in the countryside were given. The sanitary problems of children around the factory were too much and the tours had to cease. What happens next is amazing! 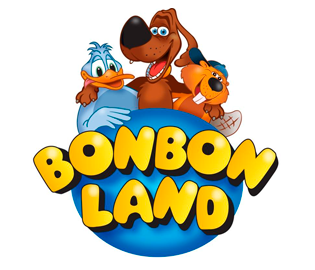 In 1992, Spangsberg opened up BonBon-Land. The park was all about the children as he had shops, candy shops, and boats that looked like ducks on a pond. The small park was successful each year and in 2007, the Spanish-based entertainment company Parques Reunidos purchased the park. Their plan was to take this successful children’s park and turn it into a family amusement park. In 1993, the park added the Farting Dog coaster and then in the 2000s three other coasters were built on the land. Those coasters include The Wild Boar, Tomcat, and Viktor Vandorm all of which are steel sit down coasters. The next phase was to add some water rides to the park. They added a rafting ride in 2010 that added more land to the park. The park today boasts 65 rides for the whole family along with shops, restaurants, and shows. The park has always had a wacky theme to it. Today you can see a peeing ant, a farting dog, and kissing trees. Fun awaits you here in Denmark.